This is my breakfast every morning. 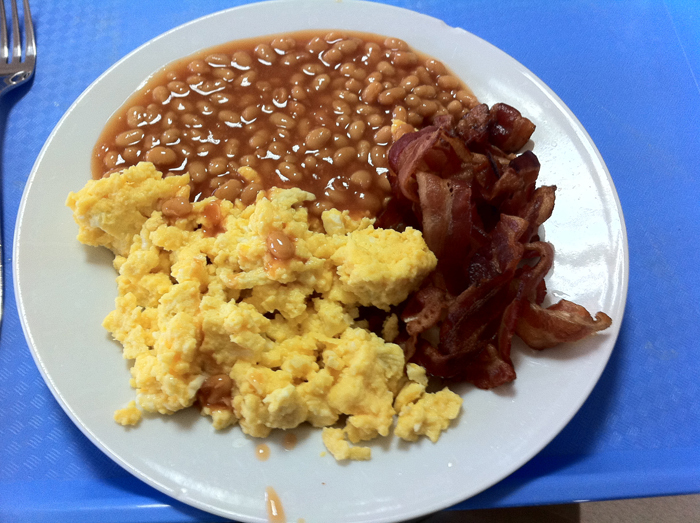 Since everything over here is a Three Letter Acronym (TLA) I refer to this meal as the BOC – the Breakfast of Champions. That bacon looks so crispy. So crispy. And nice. Crispy and nice.